I know NR Tracks is doing one but had this sitting around for awhile and decided to finish it. 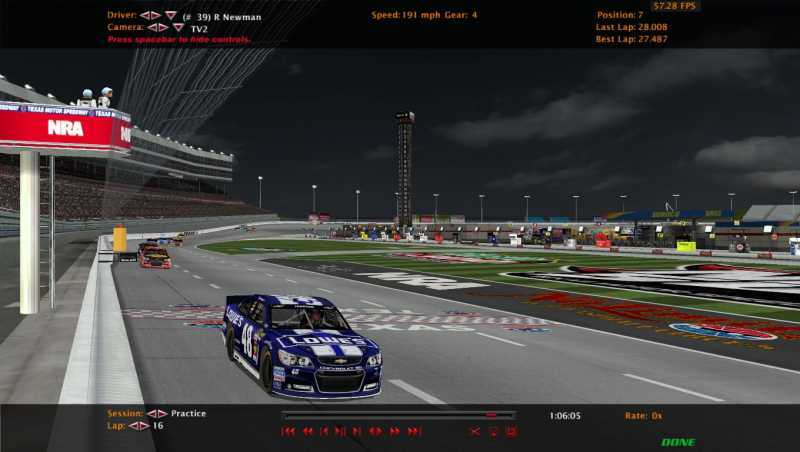 Track is based off of Revamped Texas 2010. It still has the issue at start/finish like the old one other than that there were no other issues. Track has all updated wall, grass, asphalt, and billboard logos. Added all lighting and shading for night time. In the file I also included a track.ini in a folder that says no hi line grip. This track has a groove near the wall for those that like to run high. For those that don't just add that track.ini to your Texas_2013 folder. Credits to: Shane, Revamped Reloaded, badhairday, wheatenland, rioux, smiffden, and Safer Barrier Project for various things included in the tracks. Enjoy!